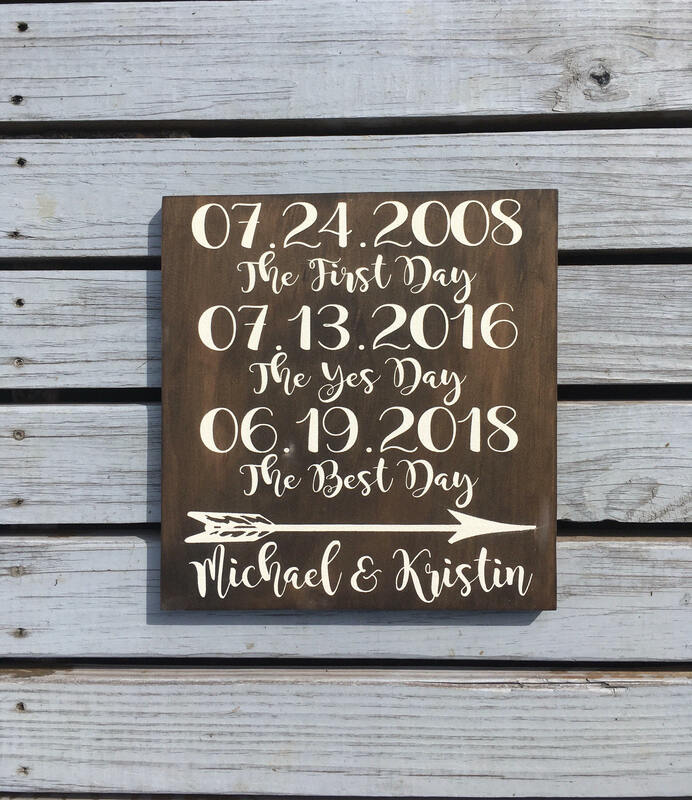 This sign is perfect for a photo prop, engagement gift, wedding gift, or anniversary gift. At the top of the board it has the couples name. Then three very important dates ( First date , Engagement date, and Wedding date). * WHAT YOU GET * One stained board that is laser engraved and paint filled white. * WHAT YOU DO * At check out please put both NAMES and the THREE DATES (The first day / The yes day / the best day) in comment box!